I thought when we moved to Los Angeles, I'd never endure spring allergies again. My dreams of swirling in fragrant orange blossoms and jasmine would blossom into a (sneeze-free) reality. I didn't consider that things still actually bloom in Los Angeles. And everywhere you look, there's lush foliage. So, alas, I still battle allergies on this coast. It's a pollen vortex, and we all live in it. Most people think of spring allergies as a simple case of the sniffles. But that doesn't come close to capturing the full gamut of symptoms that affect how I look, feel and function. I look exhausted with red, itchy and puffy eyes, swollen blotchy skin and red nostrils chafed from incessant nose-blowing. And my throat has a scratchy tickle that forces me to constantly clear my throat. These are the last things you want when you're about to host a television segment. This season's hottest trends are especially vulnerable to allergies: clear glowing skin doesn't pair well with a puffy red face. And bold colorful liner is not a good look if it's dripping down your cheek. I'm not one to let the weather get in the way of my style, so I've amassed an arsenal of tricks to combat and cover up symptoms. So what exactly is allergy face? It covers everything from red, swollen eyes and dry, flaky skin under the nose to puffiness, irritation, and even chapped lips from breathing through your mouth while you're congested. But behind the scenes it’s lots of tissues, moisturizer, water, and cough drops — especially during the spring. For swollen eyes, I freeze Mark's used coffee grinds in this silicone ice-cube tray with a bit of water to make frozen coffee cubes. When my eyes feel puffy, I take out a couple of cubes and place them on my eyelids. The combination of caffeine and the cooling sensation stimulates circulation, draining excess fluid from the skin. So while I'm sipping my caffeine, I get to treat my face yesterday's remnants. How's that for repurposing? I also use the top shelf of my fridge (where one would typically store butter) to store moisturizers, primers, face mists, eye drops and sheet masks, so they provide added benefits of treating puffiness. 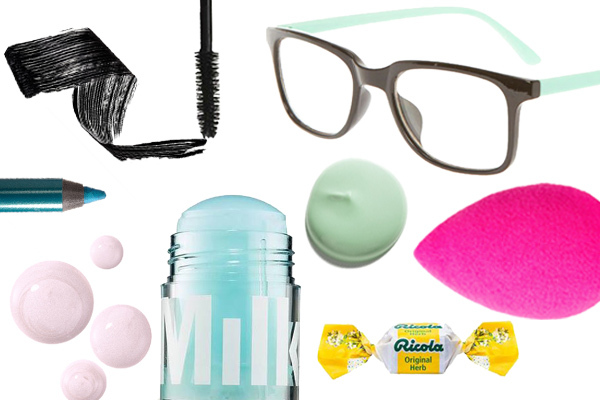 I start with Milk Makeup Cooling Water Stick, which feels like ultra-refreshing cooling gel sliding over your skin. I also love Laneige Water Bank Eye Gel and Yes To Cucumbers Soothing Eye Gel. To get a luminous complexion, I first use a Beauty Blender sponge to press face oil into my complexion. It saturates my skin with moisture in a beautiful way, but without leaving behind any excess. It's the perfect canvas for flawless makeup. Then, to offset the redness, I blend L'Oreal Studio Secrets Professional Anti-Redness Primer, a green-tinted formula that counteracts redness, with my favorite Hourglass Hourglass Cosmetics Hourglass Illusion Hyaluronic Skin Tint. It's easiest to do it in a porcelain miso soup spoon with my blending sponge, so everything stays neatly in the same place. And the spoon is a cinch to clean after each use. Next, I press a bit of Laura Geller Dewdreaming Illuminating Drops onto my forehead, the high points of my cheekbones, the tip of the chin and the bridge of my nose. It catches the light with a slight glazed quality. My makeup artist told me she can tell when I'm dehydrated when my lips start to crinkle, so I keep my lips covered with Caudalie Lip Conditioner, which is like a smooth, buttery balm. 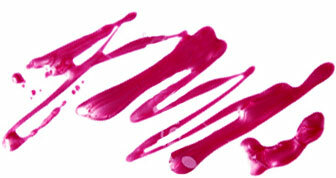 Lipsticks, lip stains and glosses blend into it perfectly, because it's not the least bit waxy. I am loving this season's spectacles! Eyeglasses for the sake of eyeglasses, even if you have 20/20 vision. What's great about vanity eyewear is that the lenses help block pollen from getting into your eyes. Genius? Yes. I've been amassing a collection of frames to playfully accessorize and make the season a little easier on the eyes. I'm currently channeling Gigi Hadid with these wire-rimmed aviators. But I love this red Sally Jessy Raphael pair, too. Mark says I sound like Yoda when I repeatedly clear my allergy-stricken throat this time of year. We've all had that itchy sensation at some point, but I get it all pollen season. So this time of the year, it sounds like I'm impersonating Yoda. (Cue a series of high-pitched eh-HEMMMs). The only thing I've found to soothe my throat and alleviate the itch is Ricola Original Natural Herb Cough Drops. Made with a blend of naturally cultivated herbs from Switzerland, they have a crisp herb flavor and soothe my throat before I even feel the urge to clear it. If you have itchy, watery, pollen-persecuted eyes, but you still want to keep your liner game strong, a basic waterproof liner formula won't be enough to withstand the steady stream of tears. You want your eyeliner to cling to your inner rims all day. To pull off spring's bold graphic liner and peacock-lined eyes, I use Urban Decay 24/7 Waterproof Glide-On Eye Pencils. They're intensely pigmented and are famous in the beauty community for their no-budge formula. They're formulated with jojoba seed oil and vitamin E oil, which moisturize while the soft waxes help pigments cling to the inner rims. I love how they just glide, so I never have to tug or poke that delicate area. The best type of mascara for allergy-addled eyes are not the waterproof variety. To truly withstand tears, you must, must, must buy yourself a tube mascara. Tube-technology holds up to weepy movies, sweaty workouts, rainy days and allergy eyes. The formula forms "tubes" around each eyelash hair, rather than applying a coat of black paint like conventional mascaras. I also like the definition and length tube mascara gives my lashes. You can remove it easily with very warm water -- the tube just slide off the lashes without frantic rubbing. No special cleanser required. This post is sponsored by Ricola. All opinions are my own.